Image courtesy of Investment Zen. The military spending authorization has passed both the House and Senate and is headed to President Trump's desk for his signature. But that doesn't close the book on military spending in 2018. It's a necessary, but not sufficient step to setting military spending for the current fiscal year. To really start to spend the money, Congress still must pass, and Trump must sign, an additional piece of legislation called an appropration bill. As they attempt to make the NDAA's $700 billion in military spending a reality, various pesky rules will get in their way: not least of which are the spending caps set in place in 2011 by the Budget Control Act (commonly referred to as sequestration). That law sets the maximum for military spending at $549 billion for 2018. Under the legislation just passed by the House and Senate, the $700 billion total include $634 billion in military spending that's subject to the budget caps, plus $66 billion in war spending that's considered off the books. So, what do the House and Senate want to do with the $700 billion military budget? Among other things, they'd fund 37 aircraft that the Pentagon didn't even ask for, all at the low, low cost of $7.9 billion. And that's just aircraft - they also set aside moeny for ships, ground combat, and other weapons system that the Pentagon doesn't want. And, the bill further enshrines the idea of "nuclear modernization," an unintentionally ironic name for a throwback policy that sees nuclear weapons as the way to guarantee not destruction, but safety. This comes at a 30-year price tag of $1.2 billion according to the nonpartisan Congressional Budget Office. If you're struggling to imagine what $1.2 trillion looks like (that's a one with 12 zeroes), here's some perspective: even Senator John McCain, champion of $700 billion plus military budgets, has called nuclear modernization "very, very, very expensive." As if that weren't enough, the $66 billion in war funding represents the permanence of the wars that began 16 years ago in Iraq and Afghanistan, with no end in sight. (Remember that back in 2003, the Bush administration estimated the total cost of the Iraq war would be $50-$60 billion, not $60 billion per year, every year, forever). On the same day the Senate passed the NDAA, the House has passed its version of the $1.5 trillion tax giveaway bonanza for billionaires and corporations. Next, the Senate will vote on its own, different version of the tax plan - and if they pass that, then the two houses must somehow iron out their differences in order to send a final version to the president for his signature. The Senate version of the tax bill has all the same problems, plus a few more - like the fact that it could result in the loss of health insurance for 13 million Americans; and that by its end in 2027 middle-income and working people would actually pay higher taxes than they do today. 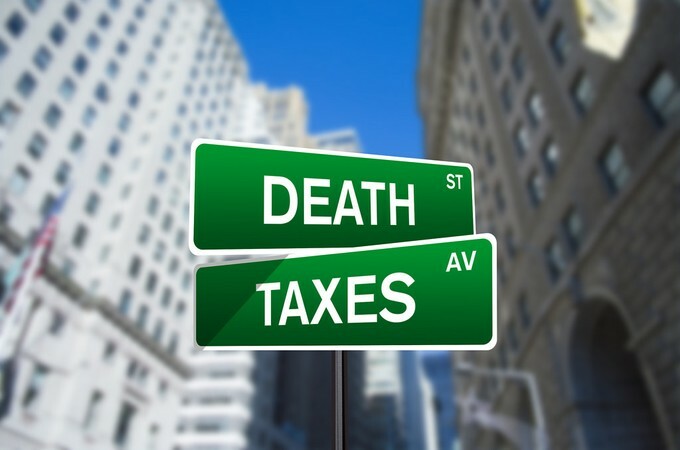 Neither of these -- the NDDA or the tax plan -- are a done deal. Good thing there's still time for us to weigh in on these disasters before they can become reality. Have you called your Senator lately? Now's the time.